Investment in solar PV is held back due to a lack of publicly available performance data. 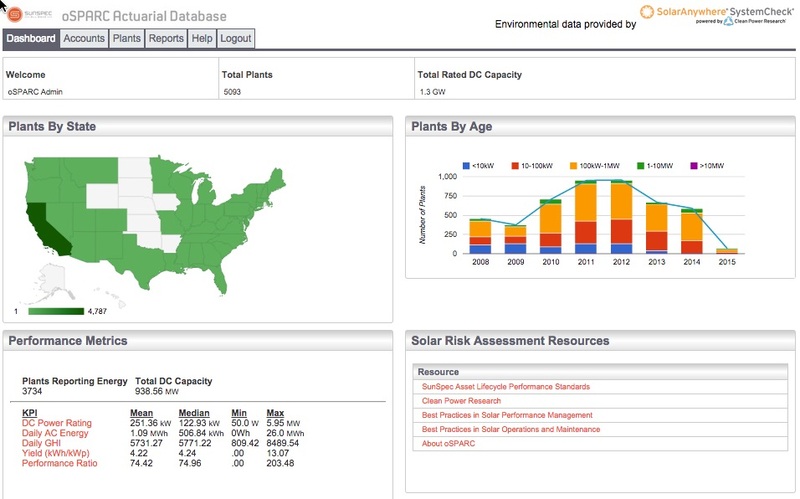 The SunSpec Alliance oSPARC initiative, via the oSPARCTM project, fills this void by establishing a nationwide network of solar power plants that report monthly in order to answer the question of how solar PV performs over the long term. 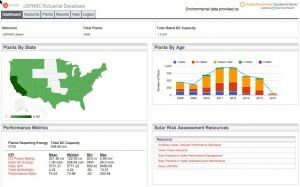 Participation in the oSPARC program is provided free of charge to solar fleet operators and data providers. For a live demo of oSPARC, go to http://osparc.sunspec.org. Demo users have access to all publicly sourced performance data in oSPARC. Privately sourced data is anonymized to protect privacy. Please contact SunSpec Member Services for more information. Solar Securitization and Solar Access to Public Capital Working Group . This important initiative is managed by NREL and is a funding source for the oSPARC project. oSPARC Overview. This presentation provides background information and summarizes the benefits and requirements of participation. oSPARC Implementer’s Guide. This handbook describes the oSPARC project and its relationship to the Solar Access to Public Capital initiative; best practices in solar performance monitoring; and the oSPARC theory of operation, including a full listing of monitored data values. oSPARC Data Dictionary. This document describes the data points comprising the oSPARC information model. If you own solar power plants (residential, commercial, industrial or utility scale), or manage solar performance data (monitoring company, inverter manufacturer, O&M provider, EPC), we want to work with you. Lower solar borrowing rates and new revenue streams are possible by working together. All interested parties are welcome to join oSPARC by requesting an account.